As the old adage goes, simplicity is the ultimate sophistication, and there isn’t a cannabis brand that embodies this phrase quite like Old Pal. 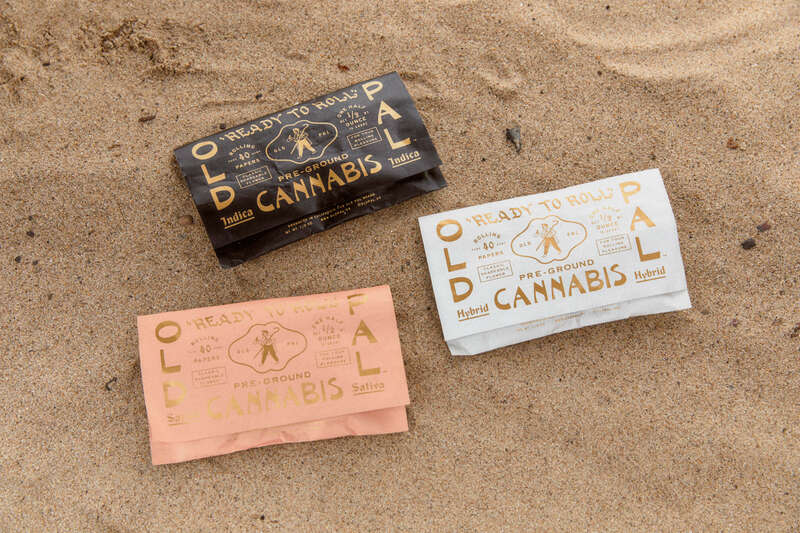 While other brands in the cannabis space are centered around more modern aspects like terpenes, innovative technology, or an effects-based model, Old Pal takes the opposite approach. It shuns strain names and specific THC to CBD ratios for the three types of flower we’ve been familiar with since the beginning of our cannabis experience: indica, sativa, and hybrid. Along with the absence of elaborate strain names, there is nary a fancy vaporizer or pre-rolled joint to be found in Old Pal’s product line-up. Instead, the all-natural, sun-grown flower is pre-ground and ready to roll as desired. And while the Old Pal assortment is creative and eye-catching, it is an homage to a bygone era, when “weed was just weed.” Sticking to the basics allows affordability, which is one of the brand’s main tenets. 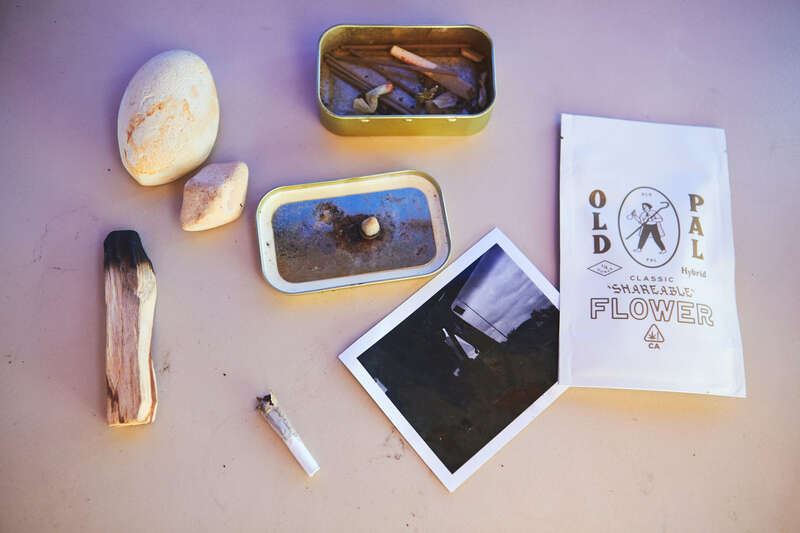 An eighth of Old Pal flower costs just $15, an extremely rare, affordable price point. Another part of Old Pal’s modus operandi is its intent as a “shareable cannabis” brand. The Old Pal moniker is a nod to the convivial qualities of cannabis when people got together to hang out and pass the time over a shared joint. “We are here to bring that social, communal aspect back to cannabis and give people an option for simple products that are meant to be shared among pals,” Old Pal founders Jason Osni and Rusty Wilenkin explain. Osni and Wilenkin have managed to create a cannabis brand that’s simultaneously understated and aesthetically fresh, a testament to their talents. Both had extensive experience in the cannabis industry prior to launching Old Pal. Osni co-founded the cannabis brand Nativ, as well as Tongue and Groove, a branding consulting agency in the cannabis space. Wilenkin co-founded Prism Farms and worked in sales for Kiva and Flow Kana. After realizing what was missing in the cannabis space was a product that was inexpensive, uncomplicated, and nice to look at, Old Pal was born. When it comes to their company’s impact, Osni and Wilenkin’s goal is simple, too. They want to remind people that “cannabis does not need to be complicated, and can be an easy, accessible source of enjoyment and connection between pals. 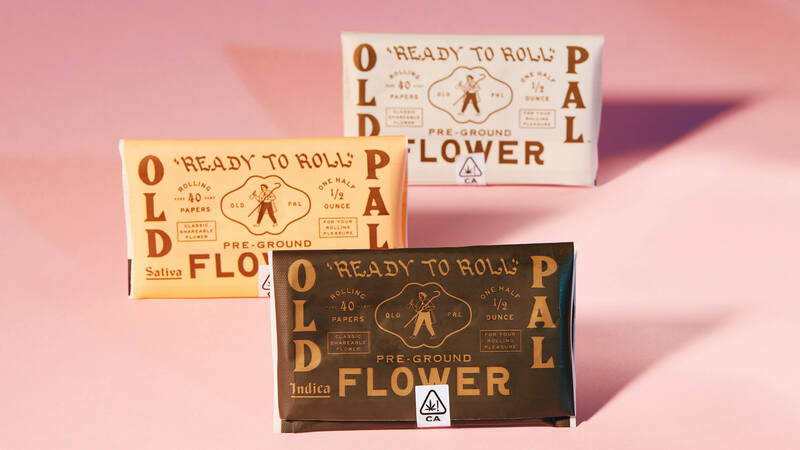 We are here to promote the social and communal use of cannabis for all.” As for what’s next for Old Pal, the brand will be expanding its reach by selling in other legalized states and bringing other product to market beyond flower. Want to try out Old Pal for yourself? Find them at your nearest MedMen cannabis retailer.